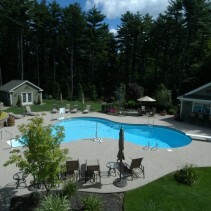 A new way to treat my pool without chlorine!!!! Can you make mine a salt water pool?! Yes, and you’re close. 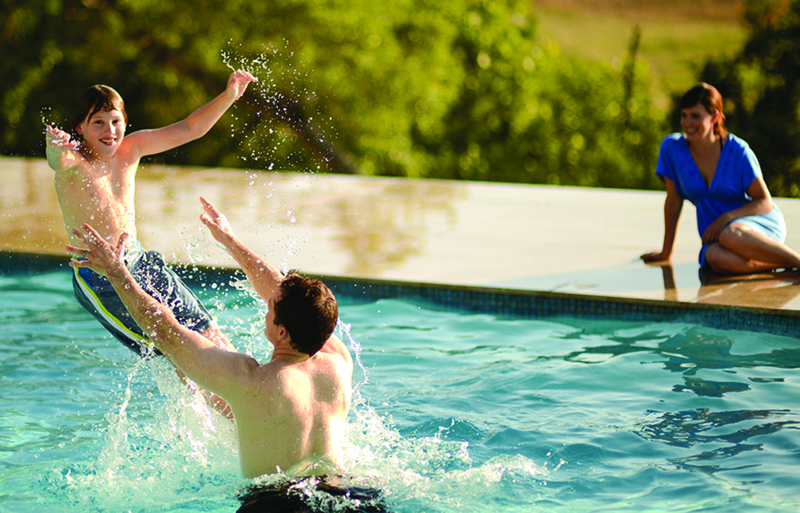 Salt water pools—as they have come to be called—are not chlorine free. However, you don’t have to add chlorine manually. The salt added to your pool when in conjunction with a (get this) chlorine generator (yes, that’s what they are technically) is used to produce chlorine. Sorry to break that to you! It’s still all good because salt does not sanitize…that’s still (and always will be) chlorine’s job. Look at the active ingredient in your Liquid Shock Treatment or Liquid Chlorine…sodium hypochlorite. The chlorine generator uses electrolysis with the dissolved salt to produce Hypochlorous acid and sodium hypochlorite which are sanitizing agents used in swimming pools. No tablets necessary! Many people think Salt Chlorine Generation is a brand new thing…a wondrous new invention. Not so much. We’ve been selling chlorine generators for thirty years. The problem was, years ago, the generators were not constructed as well as they are now. That’s why you haven’t heard too much about them. I guarantee you that if you find someone who had a chlorine generator twenty years ago or thirty years ago, they will tell you that it was the next best thing to sliced bread! Throughout chlorine generator history, they have worked famously. The problem was, as a I started to say, they broke down too often. It was a service nightmare. Every time we had a thunderstorm or got a power surge, you could expect someone’s generator to breakdown. We were forever sending them back to the manufacturers and getting rebuilds. For that reason, we simply stopped recommending them. I am proud to report that they have solved the problems! Technology has advanced to the point where we can confidently recommend chlorine generators once again. They are taking over by storm! I bet at least half the new pools going in are being built with chlorine generators. Whether your pool is old or new, this is a simple installation. This is not a money-saving item, more of a luxury if you choose to buy a quality unit. We will be happy to guide you. 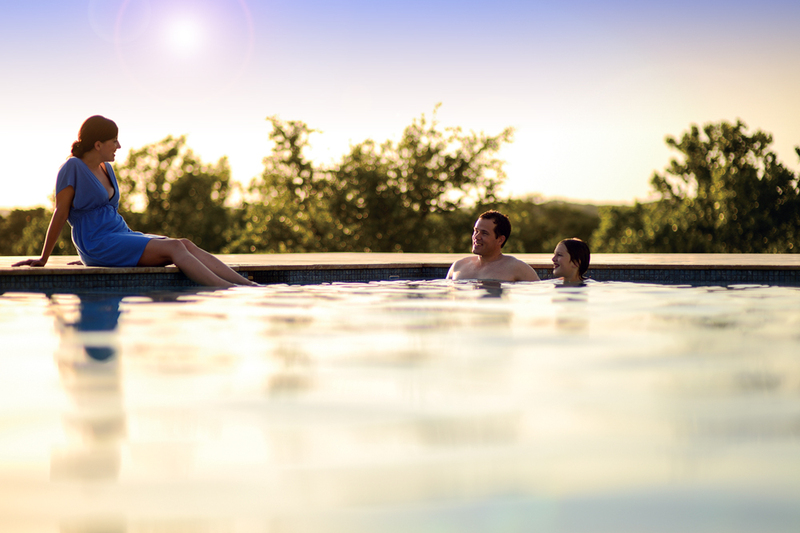 Family Pools has been working closely with the people at My Blue Pool for a couple decades. The name, My Blue Pool, may not have been around for that long but the people behind it have been and we’ve been working with them right along. They are no rookies to the pool business. We find it important to buy products from companies that will back up their products. 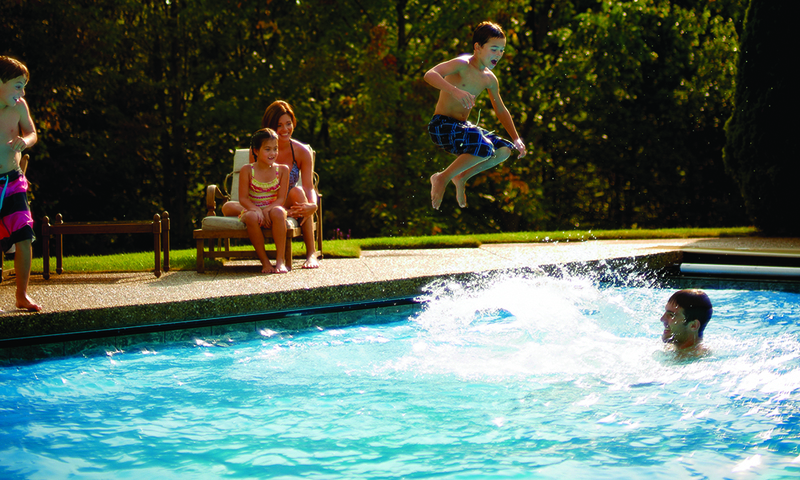 In addition to a solid product from a competent manufacturer, Family Pools extends the manufacturer’s warranty on all equipment we sell. The My Blue Pool chlorine generator encompasses a titanium cell and a power supply unit. The cell is advanced so that it will not be damaged if your salt level falls above or below the recommended levels. This is not true of all units. The power supply is simple. Sometimes simple is better, less bells and whistles to breakdown. It does exactly what it has to do including having the benefit of letting you know what your salt level is at so you’ll know if any adjustments need to be made. Today, optional equipment is available for regulating pH as well. Inquire in our Service Department for more details, 978-688-8307 ext 14.